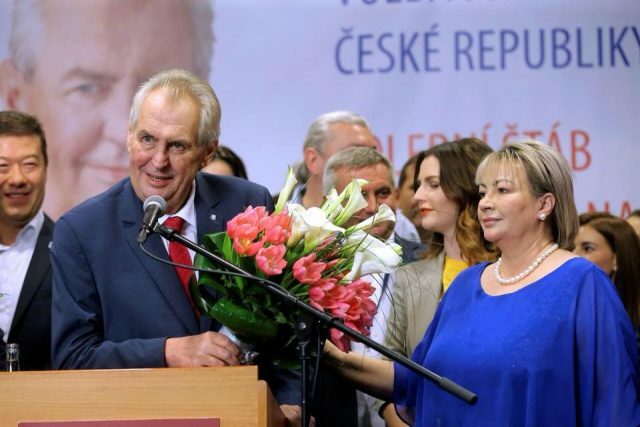 V4 Report: Czech Republic re-elects Milos Zeman, who has been one of Europe’s biggest opponents of the EU’s migration manifesto. With more than 99 percent of the votes counted, the state-owned Czech News Agency declared Mr. Zeman the winner with 51.4 percent of the votes compared with Mr. Drahos’s 48.6 percent. In the end, Zeman was propelled to victory by a high turnout in the countryside, while Drahos did best in Prague and with voters abroad. Overall, turnout was more than 66 percent. This was another blow to the leaders of Berlin and Brussels, who have enraged Czechs and Central Europeans over their arrogant demands and lectures regarding “EU Solidarity” and multiculturalism. Despite the myth peddled by Merkel, there was never any “European solidarity” for open-borders, mass migration or forced multicult. Mr. Zeman was one of the first European politicians to recognize the dangers of open-entry and mass migration from alien cultures. He defied the efforts by Brussels to force the country to accept mandatory migrant quotas. Moreover, instead of acting like a mere subject or student of Berlin, he was both direct and blunt with Angela Merkel. The Eurocrat’s candidate, Jiri Drahos, seemed to embrace “EU solidarity” and the so-called “core values” of Brussels. In rejecting his vision, the country was poised to continue in the same direction as its neighbors in Central Europe that comprise the Visegrad Group. We may not agree with Zeman on every issue, but we do know where he stands. While others meekly submitted to the demands of Germany during the early stages of the migrant crisis, Zeman answered the bell to defend his nation. This was a critical decision at a critical time; just ask Sweden or Austria, both which took a different approach. We believe Drahos and his advisors would have tried to distance the nation from their natural partners at Visegrad in order to embrace the EU Core. However, the culture and core of the Czech Republic is Visegrad and Central Europe, not the “NoGoZones” of France and Belgium. ** We have also linked an article published by the Visegrad Post below regarding their analysis of the election in Czechia. V4 Report: Human traffickers target Spain to smuggle migrants into Europe from Morocco.